Szymborska, Wislawa; Foreword by Billy Collins. First edition of this collection of poetry from the Nobel Prize-winning author. Octavo, original boards. 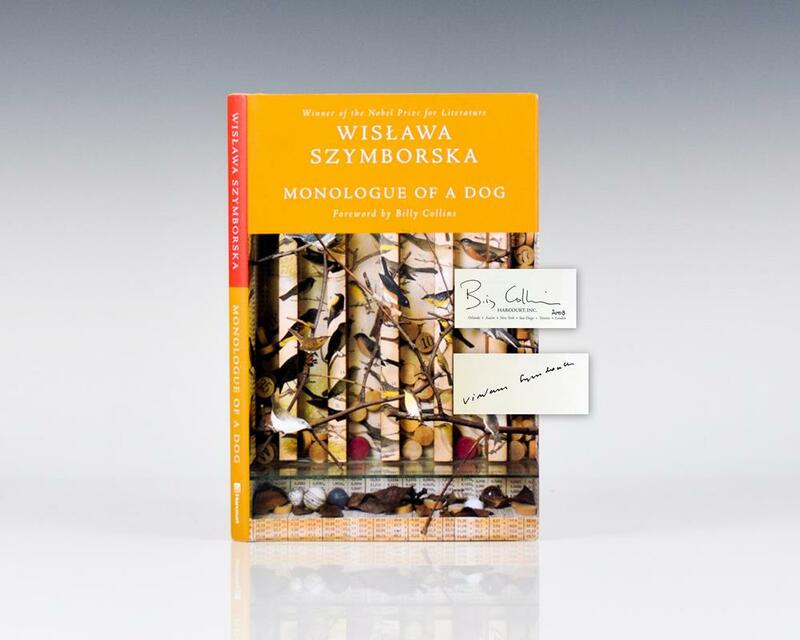 Signed by both Wislawa Szymborska and Billy Collins; who contributed the foreword. Fine in a fine dust jacket. Jacket design by Jennifer Jackman. Translated from the Polish by Clare Cavanagh and Stanislaw Baranczak. "The wry and slyly tender voice of Wislawa Szymborska couldn't belong to anyone else" (Mark Doty).